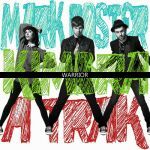 4:13 Warrior [Promo] Warner Bros. The concept of this collaboration intrigues me. However I've unbeknowingly been exposed to several of these and mostly by sheer chance haven't liked them. Possibly because the collaboration of multiple artists like this leads to clashes in influences. This is certainly evident here as the influence from all artists involved can clearly be heard, and as a result, there's a lot going on. The more I listen to it though, the more it starts to come together for me, and I love it now.<br><br>My 56th favourite song of 2012. Ein Sportartikel-Hersteller bringt immer wieder mal 3 Künstler unter einen Hut - hier sind es Foster the People + Duck Sauce + Gotye - zum Teil wenigstens - der Song ist eine fett-flotte Pop-Angelegenheit geworden, die sofort im Ohr liegt. It's fine.<br><br>Edit: well it was irregular and odd at the time it was released, but often I find myself turning to this when in need of a good catchy song filled with synths. The Foster influence is probably what enhances it most for me. HOE vet! Een van de beste tracks van dit jaar. Nu al! Vorig jaar scoorde Kimbra al een wereldhit (met dank aan 'onze' Gotye uiteraard), dit jaar mag ze dat van mij gerust opnieuw doen. Topschijfje. Hyper addictif, notamment grâce à la production synthé. It's okay but i'm a big fan of clip . I agree that you can tell the contributions of all three within the track as a whole and it really just works seamlessly though! One of the best alternative-pop tracks of the year and yet another great Converse single. This is really funky and different. Cool song. Für sowas gibt's nur ein Wort: Cool! Not really feeling this one. Introduced to this track through the Triple J Hottest 100, and its a shame i didn't get into it until then, because I became a fan of Kimbra's solo career around the middle of last year. 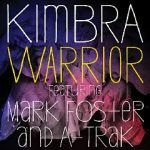 Not sure of Mark Foster and A-Trak's contribution, but its obvious that Kimbra is the star of the track. Not a fan of Kimbra, and this is no exception. Mark Foster adds nothing to the track either. Great song. I really thought this was a hit on the nz official charts in 2012 but 22 is not bad.